A few years have passed, and WS2812B LEDs have dropped enough in price enough to get into the range that I feel is affordable. They can be found on eBay and AliExpress very cheaply. Also, they can be controlled without any specialized hardware – all that is needed is one GPIO pin. There are libraries available for many of the popular microcontrollers. Some examples are Arduino, ESP8266, Teensy 3.x, and Raspberry Pi. The other piece of the puzzle is control software. For Lampduino, I hacked uRaNGaTaNG’s mtXcontrol Processing sketch into rgbMtx, but I found Processing to be a very limiting platform, which was hard to debug. This time around, I found a couple of interesting free LED control programs, which are both quite powerful. The first one is Jinx! LED Matrix Control, which runs on Windows only, and the second is Glediator, which is a Java app. Both programs, while free, are not open source. However, they are both powerful enough to do some interesting things. I added support for my own packet protocol. Glediator’s serial protocol is extremely simple. Each frame starts with 0x01, followed by the pixel data stream. My simple packet protocol adds an XOR check byte, as well as a few simple commands such as color fill and blanking of the LEDs. I also wrote a C++ program, called pkt_test, which demonstrates usage of my packet protocol. Connect your the data input pin of the first LED of your WS2812B strand to your selected data pin. Adafruit recommends a 300-500 ohm inline resistor to protect from voltage spikes. 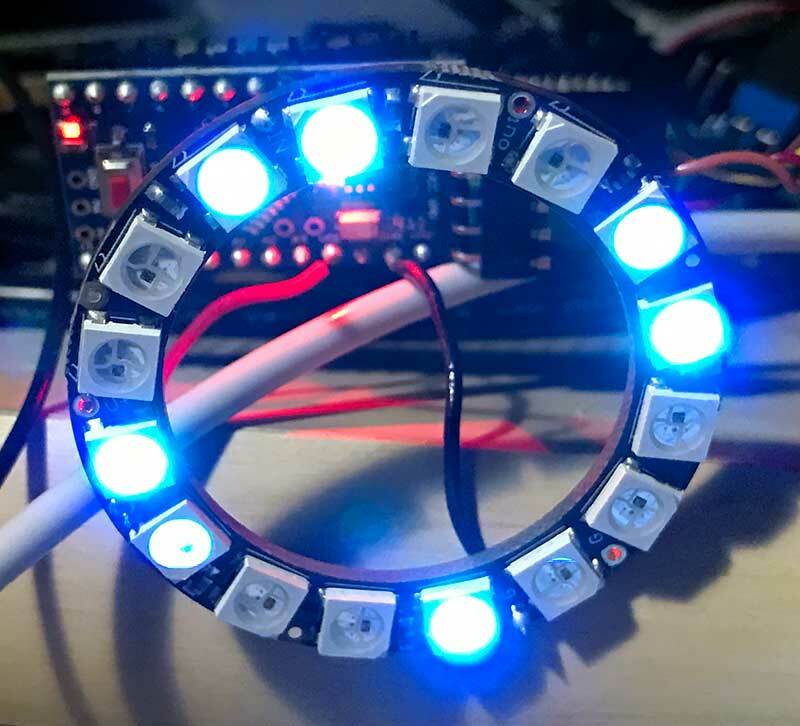 The NeoPixel ring I used already has a resistor onboard, so I didn’t need it. 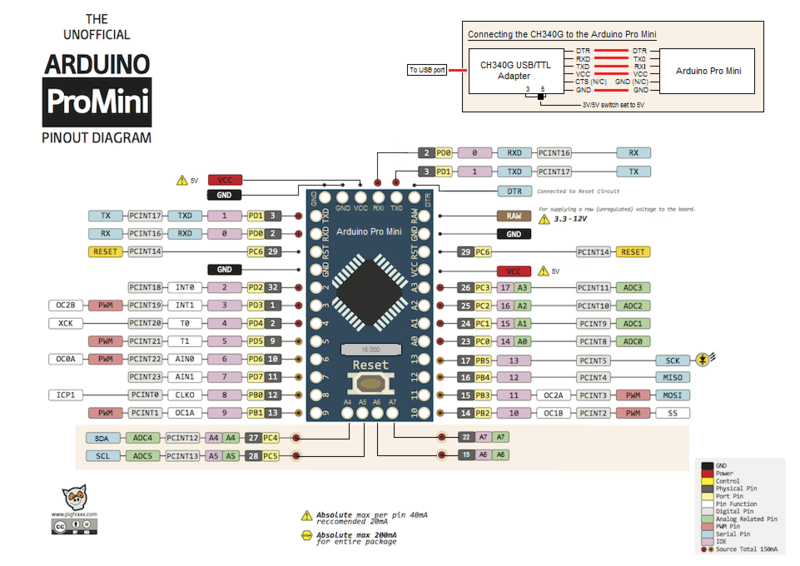 I connected the +5V and GND pins directly to the corresponding pins on the Arduino. To protect against current inrush when powering it up, Adafruit also recommends connecting a 100uf capacitor between the +5V and GND pins. However, it’s not necessary if you’re just going to power it from USB, which is what I did, since I was only powering 16 LEDs. For large strands, you will need an external power supply to supply sufficient current, as each LED can draw up to 60mA at full brightness. If using an external power supply, make sure to always apply power to the WS2812B strand before the data pin! I used the same FTDI cable that I used for programming the Arduino as a virtual com port for sending data to it. When configuring Jinx! or Glediator, select Glediator protocol. For speed, the sketch just receives raw pixel data, and dumps it out to the LED strand, so the data format is in native GRB order. When configuring Jinx! or Glediator, select Glediator as the device type (Jinx!) or output mode (Glediator). Make sure that the baud rate of the corresponding com port matches BAUD_RATE as defined in your sketch. I tested 115200 and 1000000 bps with my FTDI cable, and both worked fine with both programs. It failed at 1250000 bps. My first inclination for wireless control was to use Bluetooth, due to its simplicity. 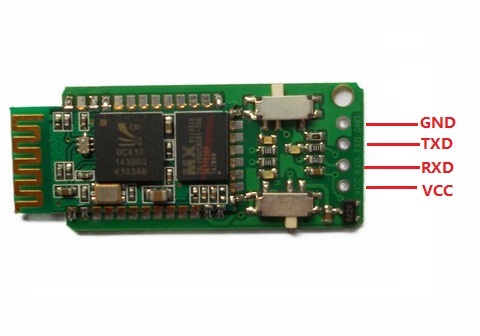 The Bluetooth SPP (Serial Port Profile) makes it easy to construct a wireless virtual serial interface between a host computer and the Arduino. This allows you to use exactly the same host software configuration that you would for a direct serial connection to the host. I had an Elechouse EHB Serial Bluetooth Module in my parts bin (very similar to the ubiquitous HC-05), so I decided to try it out. Pairing the EHB to a host computer creates a virtual serial port for the host software to access. Unfortunately, I was using Windows 8.1 as my host computer, and its handling of Bluetooth SPP clients is rather flaky. Every time I powered down the LED controller, I had to unpair/pair the Bluetooth in order to get the virtual serial port to work properly. While it worked flawlessly when the virtual serial port was functional, ultimately, I abandoned Bluetooth due to the flakiness of Windows’ Bluetooth SPP support. Perhaps Linux can handle it better. 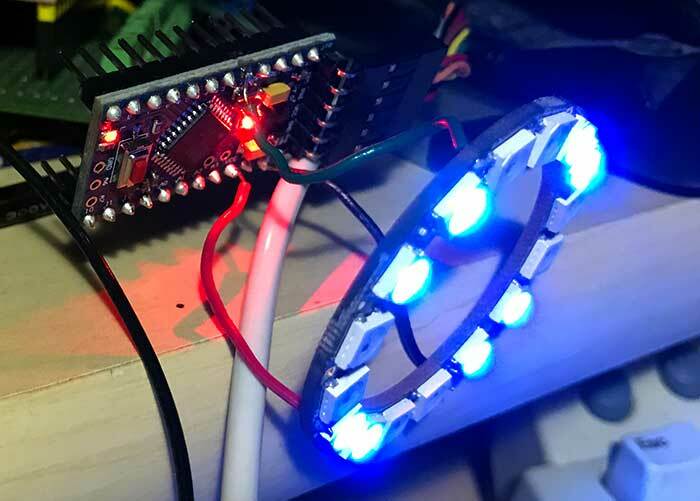 There are 2 Comments to "WS2812B LED (NeoPixel) Control: Part 1 – Serial Control via 8-bit ATmega (Arduino)"
I’ve never had that problem. Try a lower baud rate. It’s also possible that your power supplies to the LEDs or Arduino are insufficient or unstable.